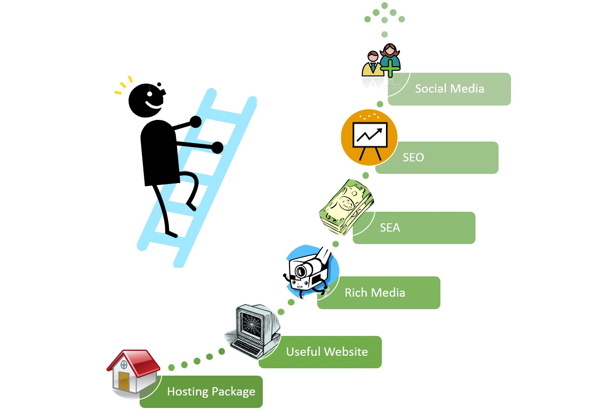 Everyone is saying that SEO and SMM industry changes a lot and Yes! it is true. Now it is time to update yourself with all social and search terms. Below are terms ranging from A-Z. Check yourself what you are aware of. If need any help then put your doubts in comment section. account: An OpenX object that represents a business unit or business relationship and contains other objects, depending on its type (i.e., ad network, publisher, advertiser, or agency). Users access OpenX to perform tasks for the accounts to which they are assigned. account relationship: The way accounts relate to one another in OpenX; parent accounts, such as an ad network account, have natural relationships with their child accounts, such as publisher or advertiser accounts. account type: Indicates the intended purpose of an account, which determines what objects it can contain and influences what users logged in to the account can do in OpenX. For example, advertiser accounts contain orders, publisher accounts contain inventory, and ad networks contain other accounts. ad: The functional unit that displays in the ad space when a line item wins an impression, and which represents the message that an advertiser wants an end-user to view. ad delivery mode: Specifies how OpenX selects the ads in a line item for delivery when a line item wins an impression. OpenX can evenly distribute impressions between ads in the line item (equal weighting), distribute impressions between ads in the line item based on each ads’ ad weight setting (manual weighting), or deliver ads together to a predefined ad unit group (companion), according to the selected fill method. ad flight: The total length of an advertising campaign. ad network: An OpenX account type, which represents a business that manages other businesses and typically contains and manages both publisher accounts and advertiser accounts. ad product: A bundle of targeting criteria for similar inventory segments which you can offer at a predetermined price (typically to facilitate regular sales efforts) and automatically create line items from in OpenX. ad quality: Automated systems for scanning and capturing sample creatives and enforcing configurable policies. ad request: Communication between a web browser or application and an ad server to display an ad. ad server: A systems that communicates with web browsers or applications to deliver and track ads. ad space: The area on a web page set aside for the display of ads. ad tag: A small piece of code that defines the ad space where ads display on a website. It includes parameters that describe the inventory advertising campaigns can target, which may in turn display ads in the ad space. ad unit: In OpenX, the smallest inventory component that represents the space on a site where ads display. ad unit duration: The duration of time-based inventory, such as linear video. ad unit group: A collection of ad units where related ads display together at the same time. ad unit group type: The delivery medium for the ad unit group or the manner in which an end-user views ads for it, such as web or mobile. The ad unit group type corresponds to the ad unit type for the master ad unit, which anchors delivery for the ad unit group. ad unit type: The delivery medium for the inventory object, such as web or mobile. ad weight: The percentage of time that an ad should be selected when its line item wins an impression (for line items set to manual weighting). advertiser: In OpenX, an account type that represents a business that runs advertising campaigns to display ads on websites. advertorial: An advertisement designed to blend in with the appearance and tone of the editorial content it runs alongside. affiliate marketing: An advertising system where one website drives traffic to another based on the cost per action (CPA) payment method: websites display advertisers’ banners for free but receive payment when registrations or sales result from click throughs. affinity marketing: Any marketing approach that extrapolates possible future purchases from past ones, such as “customers who bought items like this also bought…” recommendations. agency: In OpenX, an account type that represents a business that provides services to advertisers. ATF: Above the fold, any area of a web page that can be viewed without visitors having to scroll. Ad space in this area tends to have a higher value than that located elsewhere on the page. ATL: Above the line ads include any which focus on general media such as TV, cinema, radio, print and the Internet. audience segment: A group of users with similar traits or characteristics. audit trail: Logging of any changes to data (creation, modification, or deletion) to allow a system admin user to review all historical changes. B2B: Business-to-business trade and advertising involves companies whose main revenue stream derives from their trade with other companies. Examples of a B2B website includes an online marketplace where raw materials are available to buy. B2C: Business-to-consumer refers to the traditional consumerist model of a company’s chief customers being the general public. B2C websites include book and music stores. bid request: When OpenX Ad Exchange receives an ad request, its communication to selected real-time bidders, which contains details details about the impression and solicits bids for it. bid response: After evaluating a bid request, a real-time bidder’s communication to OpenX Ad Exchange, indicating if they’re interested in the impression, and if so, how much they’re willing to pay for it. billable impression: An ad impression for which a publisher or ad network charges the advertiser who owns the ad. blind link: A hyperlink which does not clearly indicate (or even actively disguises) where it leads to. blind traffic: Traffic generated by blind links or exit consoles. booked clicks: The number of clicks that have been booked to deliver for a campaign. booked conversions: The number of conversions that have been booked to deliver for a campaign. booked impressions: The number of impressions that have been booked to deliver for a campaign. bounding box: A rectangular area defined by latitude and longitude lines, which is used in geographic targeting. brand: Name of the product or service being advertised. buyer: A company that pays a demand partner to purchase ad inventory on OpenX Ad Exchange. cache: This is a temporary storage area that houses frequently accessed data and keeps it ready for speedy access. This saves the computer from having to retrieve the information from main memory every time it’s required. In online terms, a cache can store much of a web page’s content instead of requesting all the data from the server again. • An advertising project in its entirety, from conception through creation and buying to tracking and final analysis. • A collection of related creatives with common advertising purpose and booking requirements. • A set of criteria for purchasing inventory to achieve advertising goals (see order). campaign weight: An integer weight value that provides a relative weighting of other campaigns. category: A descriptive that refers to a subject covered by a website or creative, such as monster trucks or ecology. CDN: Content delivery network, a distributed system of computers that increases bandwidth for the client by providing copies of creative content (such as media files and metadata) at various points in a network. Creatives are typically hosted on a CDN. click: A user action, such as clicking an ad with their mouse or touching the screen of a mobile device, which sends them to a click-through URL while OpenX records the event. click through: The action of clicking an ad and being taken to another web page via a hyperlink. click-through URL: A destination website address that a viewer goes to when they click on an ad. click tracking: A way to track clicks and monitor a user’s behavior after they view an ad. The click-tracking mechanism depends on the type of ad tag. clicks: The number of click throughs having occurred as a result of a user clicking on an ad and being redirected to an advertiser’s page. clickstream: A record logged on a client or on the web server of what a user clicks on while browsing. Clickstreams are important to publishers who want to see the paths people follow through their sites. companion ad units: In an ad unit group, the ad units to serve ads for when the master ad unit wins an impression. companion line item: A line item that delivers multiple related ads to a predefined ad unit group. competitive exclusion: A mechanism by which you can block competing advertisers from displaying their ads on the same site. console: A popup window that appears when a visitor leaves a website (AKA “exit console”). content targeting: A targeting dimension that describes the context and layout that the ad space exists within. content topic: Describes the main subject of the online content surrounding the ad space, such as sports or automotive. content type: Describes the main function of the online content surrounding the ad space, such as blog or news. conversion: The measure of the number of times that a tracker has been displayed that has been successfully linked to a previous creative impression or click, according to the tracker’s rules. conversion rate: The percentage of visitors to a website who sign up for advertised offers or buy advertised products. Proven high conversion ratios (via web analytics) add value to a website’s inventory. conversion tag: A small piece of code that tracks how users respond to the ads that serve for the orders they are associated with. CPA: Cost per action, a pricing method which calculates cost based on the number of times a user takes action based on an ad (conversions). CPC: Cost per click, a pricing method which calculates cost based on the number of times a user clicks on an ad. CPD: Cost per day, a payment model where advertisers pay on a daily basis for their ads to be displayed on a particular website. CPM: Cost per mille, a pricing method which calculates cost based on the number of impressions (per 1000). CPS: Cost per sale, a pricing method where advertisers pay only when a visitor who has clicked through on one of their ads then goes on to generate a sale (AKA “revenue sharing”). Prices for CPS deals tend to range from $1-$25. CPT: Cost per transaction, a pricing method where payment depends on a visitor generating a transaction (typically a sale, which makes CPT identical to CPS). CPTM: Cost per targeted thousand impressions, identical to CPM except that it refers exclusively to campaigns which have been specifically targeted. creative: The media asset associated with an ad, such as an image or video file. creative weight: An integer weight value that provides a relative weighting to other creatives. CTR: Click-through rate, the percentage of impressions that results in a click through. For example if a banner was clicked on 87 times after being shown 1000 times, it would have a CTR or click-through rate of .087 or 8.7% (87/1000 = 0.087×100 = 8.7). custom targeting: A targeting dimension that describes custom key-value pairs that a publisher defines based on what they know about their visitors. defaults: Ad networks use this term to describe the ads served to fill unsold inventory space. These usually include lower-paying, non-paying or community service ads. Members of larger ad networks are usually offered a choice of defaults should they fail to sell all of their inventory. defeating cache: see cache busting. delivery medium: The manner in which an end-user is exposed to ad inventory, such as web or mobile. demand partner: A company which purchases ad inventory on OpenX Ad Exchange. DMA: A geographic location based on a designated market area. DMP: Data management platform, a platform or provider that supplies services to help better manage the data required by the advertising seller or buyer to better run their campaigns. DSP: Demand-side platform, a platform or provider that allows advertisers to manage multiple ad exchange and data exchange accounts through one interface, often in real time. eCPM: Effective cost per mille tells a publisher what he or she would have received if they sold advertising inventory on a CPM basis. end date: The date a campaign is scheduled to end. EPC: Earnings per click, calculated by dividing total click-through earnings by the number of clicks. EPV: Earnings per visitor, calculated by dividing total visitor earnings by the number of visitors. equal weighting: An ad delivery method for which the Ad Server evenly distributes impressions between ads in the line item. exclusivity: This refers to an advertiser requesting that their ad not be shown in rotation. This normally results in a higher fee for the publisher, because it reduces the number of ads they could otherwise show. exit exchange: Two or more sites which display exit consoles (see consoles) showing other sites. exit traffic: Traffic generated by a visitor clicking on a popup or popunder exit console. external identifier: An ID that references and external system that is integrated with OpenX. extramercial: Banner ads positioned in the far-right column of web pages. fixed cost: A pricing model that calculates cost as a total for the entire lifetime of the line item. A fixed price is assigned for the total impressions delivered throughout the duration of the line item’s flight. No revenue attribution is calculated for this pricing model. fixed-price bid: A bid where the price is not negotiable (typically in response to a pre-negotiated arrangement between a single publisher and a single buyer). flight: An interval that specifies the maximum life span of a line item. If its impression goal is met before the end of the flight, the line item becomes unavailable. Flight dates must fall within order dates. floor CPM: The lowest CPM that a package can be sold for, which is used as a default price for line items created from the package. However, a user can override the floor CPM value with that from an IO. For a real-time selling rule, the minimum price that you are willing to accept for the ad space defined by the real-time selling rule. forced click: A click through that is activated without a visitor giving their consent. forecasting: An Ad Server feature used to calculate impression estimates for inventory and predict availability for line items. frequency capping: Using cookies to track the impression count of ads served and stop any given ad being shown to a single visitor more than the set number of times. geographic targeting: A targeting dimension that describes a user’s physical location, such as their city or state. guaranteed line item: A purchase that reserves inventory. hit: Any request a web server receives for pages or files. For example, a web page featuring 7 graphical elements will create 8 hits (one for the page plus one for each of the graphical elements). Hits are used to monitor the load on a server but are of little use to advertisers. house ads: Ads that promote the host website’s features and services. They are a way to fill unsold inventory. IAB: Interactive Advertising Bureau, a standards organization for online advertisers formed in 1996 and based in New York City. impression: A single display and view of an ad on a webpage. impression goal: The maximum number of impressions to deliver for a line item in a single day (per day) or over the duration of the line item’s flight (total). When a line item reaches a daily impression goal, it is temporarily ineligible for ad selection. For example, if you set the daily impression goal to 5 and the line item reaches 5 impressions in a single day (e.g., on day 5 of a 20 day flight), then the line item is not available for ad serving for the rest of the day. However, the line item becomes eligible again for ad serving on day 6. When a line item reaches its total impression goal, no matter which day of the flight, it is no longer available for ad serving. incentivized click: A click through inspired by an ad offering a reward. It’s worth noting that incentivized clicks can spike click-through rates without leading to an increase in actual sales. intermercial: A short video ad played to visitors between leaving one page and the loading of the next. interstitial: Ads that load between web pages without being activated by a request (see superstitials). inventory: This term refers to the amount of ad space available on a website. To calculate an accurate inventory figure the number of possible page impressions in a certain timeframe should be taken into account, as well as the number of zones available for ads to be shown per page. island position: An ad embedded within editorial content, with no ads bordering it. keyword: Words or phrases that result in a site being returned within the results for a particular search. Many sites’ advertising strategies are based on keyword targeting, which means that a specific banner will only be displayed when certain words are entered. keyword density: A measure of how frequently certain words appear on selected web pages. Too high an occurrence of a certain word can result in pages being classified as spam. Too low, and the page will not be indexed as being relevant to that keyword search. landing page: The web page displayed by a browser when an ad has been clicked on. line item: The primary unit of execution for an OpenX order, which represents a specific inventory purchase, and the required conditions for ad delivery. list CPM: The suggested price (in CPM) for an ad product. log file: A web server’s record of its activity, including page requests and load errors. magic macro: Commands that dynamically insert attributes into your HTML, third-party ad creatives, and click-through URLs when OpenX serves an ad. See magic macros. make goods: Payments made by a publisher to an advertiser as recompense for not hitting pre-arranged targets for impressions, or for high numbers of load errors. manual weighting: An ad delivery method for which the ad server distributes impressions between ads in a line item based on the Ad Weight setting for each of the ads in the line item. master ad unit: The ad unit that anchors ad delivery for an ad unit group when a companion line item wins the impression for the master ad unit. The remaining ad units are filled with ads from the companion line item, as appropriate, based on the line item’s Companion Delivery Mode. max loop size: The number of times a single animated graphic is permitted to repeat its loop. max time length: The length of time an animated graphic takes to perform one complete loop. monetization: The methods by which a service or resource generate income. MRAID: Mobile Rich-media Ad Interface Definitions, an IAB standard developed to handle interoperability between mobile applications, ad servers, and rich media platforms. MRR: monthly rental rate, the rate at which an agreed-upon number of impressions in a month are sold. natural account relationship: The account relationship established between a container account (parent) and its sub-accounts (children), which provides the parent account full read and write access its managed accounts. non-guaranteed line item: Fourth priority buying model, which does not reserve inventory. non-remnant: Inventory sold directly by the publisher to an advertiser, whereas remnant inventory is sold by a third party. opt in: The process by which a user agrees to receiving messages from a company. Opt in messages, therefore, cannot be considered as spam. opt out: The process by which a user elects to stop receiving messages from a company. If a user continues to receive messages after opting out these messages can be considered to be spam. order: The top-level demand-side component in OpenX, which represents the summary for an advertiser’s inventory purchase to run a marketing campaign. pacing model: Indicates how OpenX distributes impressions for a guaranteed – volume goal line item during its flight, either smooth or non-smooth. With smooth pacing, the ad server evenly distributes impressions. With non-smooth pacing, the ad server distributes impressions based on the configuration, which by default, delivers 100 percent of the impressions by the midpoint of the line item’s flight. For example, to deliver 10,000 impressions for a 30 day line item, the ad server would try to deliver all 10,000 impressions by the 15th day of the flight. page view: What is displayed each time a browser requests a web page. One page view might register as multiple hits on the server because pages can contain more than one element, such as several banners. Page views do not take browsers set to disable images into account, so they are an unreliable way of gauging the success of a campaign. pay per click: See CPC. pay per impression: See CPM. pay per sale: See CPS, CPA, and CPT. payable impression: An ad impression for which an ad network is responsible to compensate the publisher who owns the inventory. piggyback beacon: A named code snippet returned to the browser when a user triggers another beacon it is associated with. pixel: A contraction of picture element, a pixel refers to a single point in a graphic. Ad units are typically measured in pixels, for example the default 468×60-sized banner. plugin: A software program installed and used by a web browser. popup: Ads which automatically display in a second browser window above the page being viewed. They tend to cost more than regular banner ads, but can be counter-productive due to visitors who consider them annoying. preemptable: This kind of ad can be swapped by the publisher for another, higher value ad. pricing model: The method for assigning a value to a line item, such as cost per mille (CPM) or cost per click (CPC). rank: This refers to a website’s position when it is listed by a search engine. Advertisers study rankings to determine a website’s performance, and thus the value of its inventory. rate card: Publishers compile rate cards to list prices for advertising on their sites. Larger sites usually give rates on a CPM basis. Technical details regarding banner size and positioning may also be included. realm: The region of ownership of an account. referring page: The web page a visitor was viewing before clicking on a hyperlink and arriving at the current page. registration: The process by which a website’s visitors enter details (name/age/address etc.) to gain full access. Registration can enable ads to be targeted with greater accuracy, as well as allowing the tracking of individuals as they move around the site. remnant space: Inventory that remains unsold until a discount or ad-network solution is applied. request: The number of times a creative has been requested to be displayed on a website (compare with impression). request: When a browser attempts to retrieve a page, or any of the elements within a page, from an internet server, it is said to be making a request. request for proposal: An RFP refers to an advertiser looking to arrange an agreement with a publisher. request for quotation: An RFQ refers to an advertiser looking to arrange a price for placing ads on a publisher’s website. revenue model: The revenue relationship or deal type established between an ad network and the publishers that they directly manage. revenue sharing: An Ad Server feature that allows ad networks to manage and track revenue splits with the publishers that they manage. See CPS and revenue sharing. return on investment: This process determines whether an ad campaign’s profits have been less or greater than its costs. An accurate ROI can be difficult to gauge, depending on the campaign’s specific goals. rich media: Ad technology that features more refined images as well as audio and video in the ad. Rich media ads frequently allow visitors to interact with a banner without leaving the page on which it appears (e.g., movie ads that expand and play a trailer on the host page). ROC: Run of category, ads that will appear anywhere within a specific category on a site or ad network. role: A grouping of user permissions, which, when assigned to a user, defines the tasks that they can perform on behalf of their accounts. RON: Run of network, ads that will appear anywhere on any page of any site that is part of a specific ad network. Such untargeted advertising is the cheapest to purchase. ROS: Run of site, ads that will appear anywhere on a website. rotation: A banner in rotation on a page will not be the sole banner shown when that page is reloaded. Some advertisers might request that their banner not be rotated (see exclusivity). SDK: Software development kit, development tools for creating applications that work with a software framework or platform. See the OpenX SDK developer guide. section: A “vertical” segment of related content within your site. SEM: Search engine marketing, the practice of promoting websites by way of a search engine. session: A series of page requests being made by a visitor without 30 minutes inactivity between any of them. Despite being completely arbitrary, 30 minutes is the accepted length of time as agreed upon by advertisers and publishers. A session can also be referred to as a ‘visit’. site: The highest-level inventory component that typically represents top-level domains or sub-domains. skyscraper: An area of inventory much taller than it is wide. spam: Unsolicited email containing advertising messages. spider: This is a software program that follows links on the World Wide Web. Most spiders are those used by search engines, which index web pages according to relevance. A fault of spiders from an advertising perspective is that they follow banner links, thus leading to an inflated click-through count. splash page: A special entrance page to a website. Splash pages are useful for banners offering competitions and other special offers the advertiser does not want to put on their site’s main page. Also known as a ‘jump page’. sponsorship: A way for an advertiser to sponsor a section of a website. As a sales technique, sponsorship works best when the web page is relevant to the advertiser’s products or services. SSI: Server side include, allows the inclusion of variable values into a web page. SSIs are useful if a page features lots of files containing a common HTML code fragment, such as banner ads, because it enables code to be written or modified once without the need to individually change the common code. SSP: Supply-side platform, a platform or provider that allows publishers to manage and optimize revenue for their inventory from multiple sources, often in real time. standards: A set of voluntary standards created by the IAB for online ad sizes, dimensions, names, and so on. start date: The date a campaign is scheduled to start. statistics: Data about events, such as when a user clicks on an ad, total impressions or click throughs, geographical location, users’ OS, and so on. sticky: A descriptive term for websites where users typically stay longer than normal. For example, gambling sites are often considered sticky. superstitials: Rich media ads that download in the background and only launch a browser window when this procedure is complete, which allows for more interactive ads without the irritation factor associated with popups and interstitials. targeted: Ads that are aimed at a specific section of a website’s audience or at a niche website that only has a very specific audience. targeting channel: A named collection of targeting criteria. targeting criteria: The rules that define how a creative should be targeted for delivery to viewers. technographic targeting: A targeting dimension that describes the technologies a user employs in their computing environment, such as their computer’s operating system. tracker: A type of beacon placed on websites to determine when a viewer has performed an action that should be tracked back to a previous creative impression or click for the purpose of generating a conversion. trap door: A banner type that leads to a page which does not let visitors return to the page the banner featured on. unique users or visitors: A site’s total number of users or visitors over a certain length of time. Accuracy depends on each user logging in with a unique username to access the site. up sell: A technique by which additional offers are made to a customer in between committing to a sale and completing their transaction. user: An individual who will be logging in to OpenX and performing tasks on behalf of the accounts they have access to. user capabilities: The tasks that users can perform in OpenX, which are granted to them through the roles that you assign them to. user role: A grouping of user capabilities that describe the tasks a user can perform in OpenX. USP: A unique selling proposition is what differentiates goods and services from their competitors. valid hits: This refers to the number of click throughs performed by real users, as opposed to search engine spiders or server errors. viewer: A person who views creatives on websites; a member of the target audience for creatives. volume discount: A price discount offered to advertisers who commit to a decided-upon number of page impressions at a certain price. web analytics: The study of online behavior. Off-site web analytics is general, Internet-wide analysis; on-site analytics is the study of visitor behavior on specific sites. website: A representation of a website in OpenX, containing all of the zones for that site. zone: A representation of a location on a website where creatives should be displayed.